If you’re accustomed to wearing suits or business casual attire then putting on a pair of distressed denim might be somewhat uncomfortable. It could also bring upon some pretty strange reactions and comments from those who have never seen you so “dressed down” before. 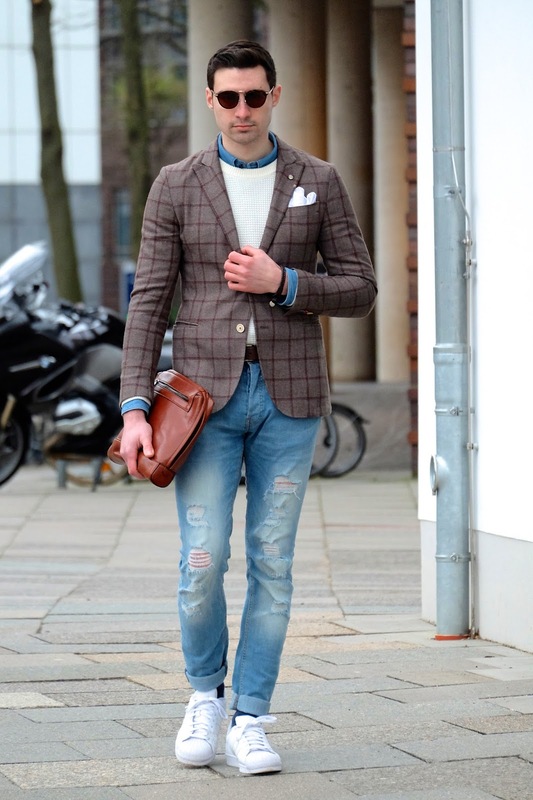 If ripped jeans are something your interested in then how about dressing them up a bit. By dressing them up I really mean just wearing a blazer. 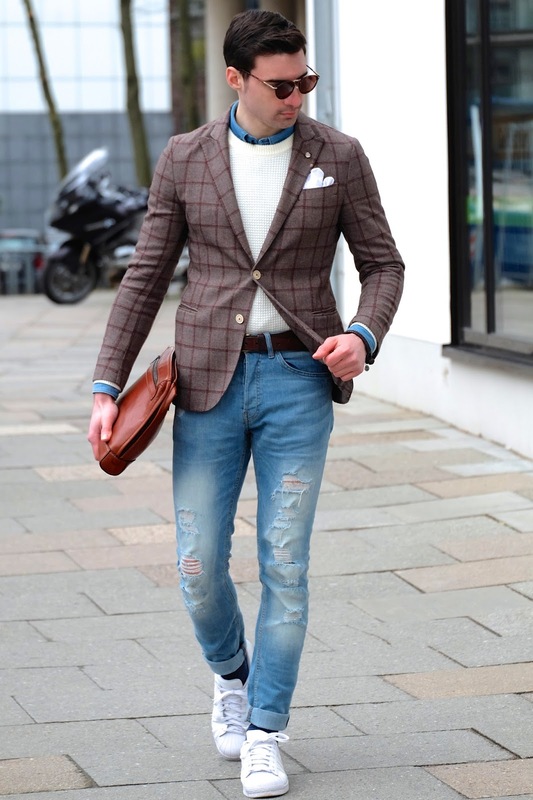 Sure a tie could be worn but it might be trying a bit too hard plus you’ll have to be really careful with choosing the perfect fabric tie to match those jeans. My favorite thing to do recently is a look similar to this. It all starts with a slim fitting pair of ripped jeans and some clean white sneakers. Up top I tend to go for a button up shirt and some kind of a solid crew neck or turtleneck sweater. To finish the look off and make it slightly less casual I throw on a wool blazer. 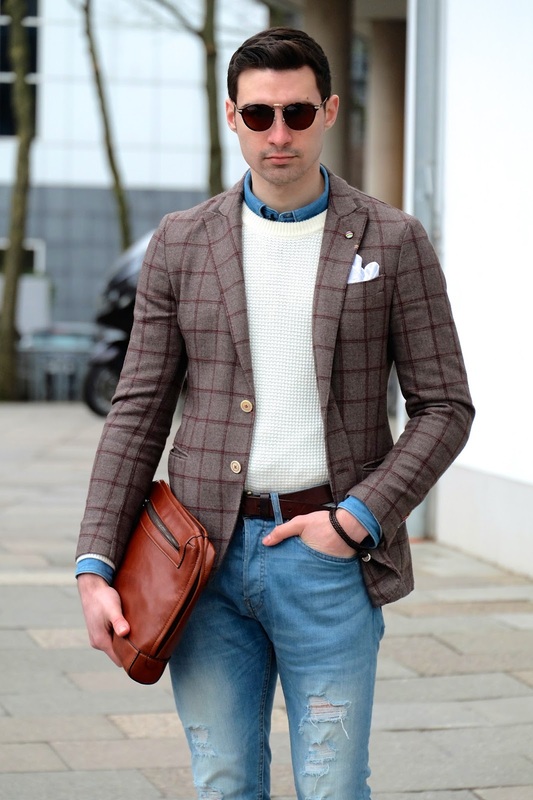 Because of the solid jeans and sweater you can have a bit more fun with your blazer and go for something printed or heavily textured. So what do you say? Yay or nay or distressed denim? Thanks for reading. Gotta get my boy in line for Topman...seems to have the best fit for slim athletic types...chic honey!